*UNDER CONSTRUCTION, Projected Finish Mid-August* Community pool, deep third car garage. Open kitchen/dining/family room area, a welcoming mudroom and powder room off the garage, and extra living areas in an office living room, as well as an upstairs loft area. Upstairs you'll find all 3 bedrooms, 2 bathrooms, and a laundry room. Unfinished basement gives room for 2 more bedrooms and a bathroom. 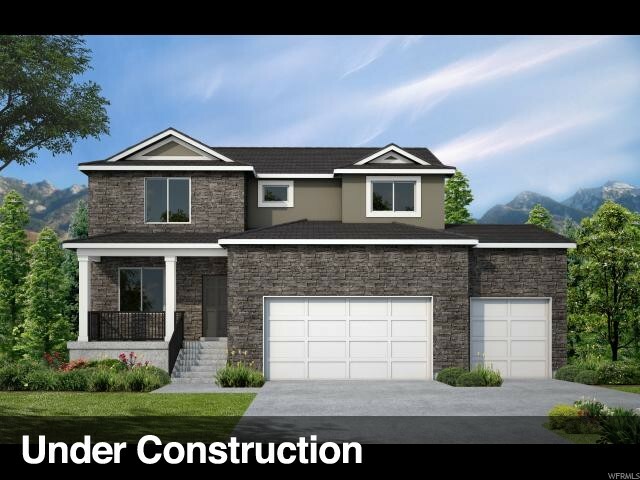 Beautiful features including: granite countertops, luxury vinyl planking throughout the main floor, and a grand master bath with dual vanity. If purchased soon, there is still time to make interior selections. I would like more information regarding the property at 1113 S 4090 W Unit LOT 37, Syracuse UT 84075 - (MLS #1593334).